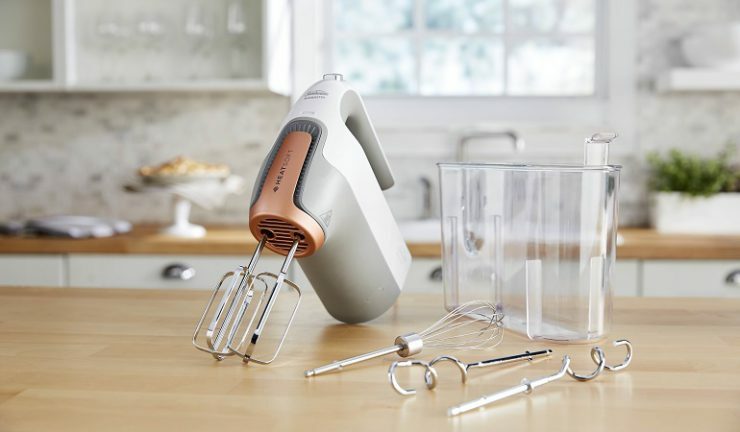 Sunbeam has introduced its latest addition to the Mixmaster collection with a new hand mixer with unique HeatSoft technology for optimal baking results. The patent pending HeatSoft technology gently softens butter up to 12 times faster, taking cold butter from the fridge to ideal baking temperature in less than two and a half minutes. It features a 270 watt motor, seven speed settings to provide control and precision for all baking needs, from delicate meringues to cookie dough, as well as a burst of power function for thicker batters. The hand mixer has a removable magnetic nozzle, comes with accessory tools, including stainless steel beaters, dough hooks and a whisk. The attachments and cord can be easily stored in the storage case. The Sunbeam Mixmaster hand mixer with HeatSoft technology is now available for RRP $99.95 from leading electrical specialists and department stores. Sunbeam has also released its latest breakfast range, the New York collection, designed to reflect the bold and elegant aesthetic of the city. 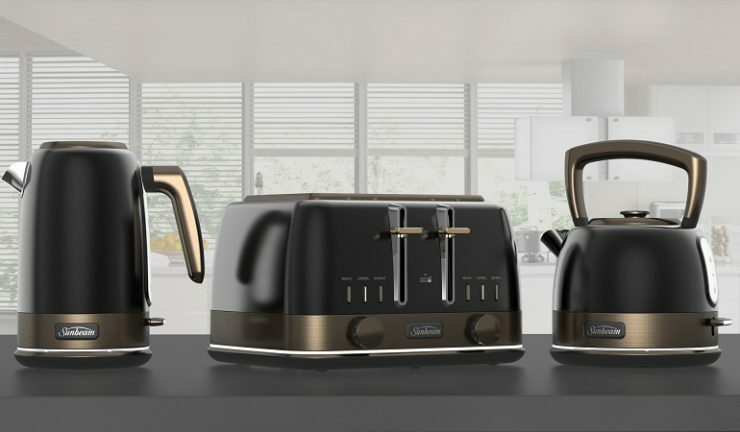 The collection includes a jug and pot-style kettle and four-slice toaster available in white and pale gold, black and antique bronze and silver chrome and gold. Inspired by New York’s bright city lights, the New York breakfast collection features an illumination function, lighting the kettle when boiling and toaster when toasting. The 1.7 litre KE4430 kettle has SmoothFlex, a smooth push button to activate the soft opening lid and One Boil to prepare enough water for seven standard cups. The 1.5 litre KE34410 kettle can prepare enough water for six standard cups with the One Boil function. Both kettles house a 2400 watt element to enable rapid heating and have an RRP of $169. The toaster features QuickCheck technology for users to check the browning progress without interrupting the toasting cycle by simply lifting the lever and having a quick look. It has nine browning settings, defrost, reheat and cancel buttons, as well as dual controls to toast two or four slices at different browning levels. RRP is $169. The Sunbeam New York Collection is now available from leading electrical specialists and department stores.